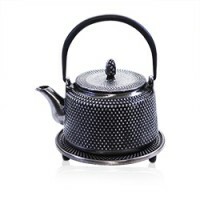 Cast iron teapots were created in ancient China . 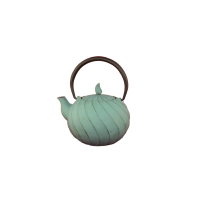 The Japanese then adopted and developed them as decorative items. 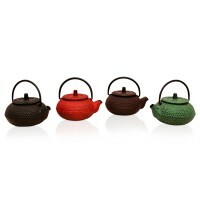 They symbolise the everlasting strength and unity of the world. 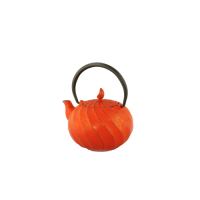 Through special chemical treatments , impurities are removed from the cast iron during the production process. 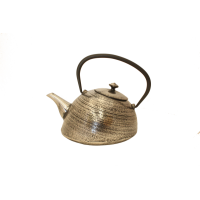 A coating of misty black emamel is then applied to help prevent the development of rust . 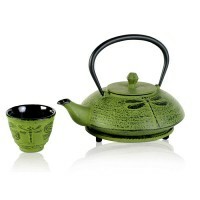 Cast Iron Teapot Dragonfly Lime Green 600ml (with mesh strainer and trivet) NOTE :.. 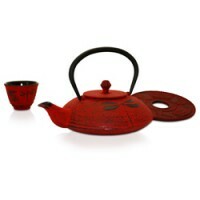 Cast Iron Teapot Dragonfly Red 600ml (with mesh strainer and trivet) NOTE : cup not included .. 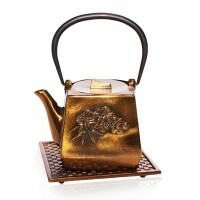 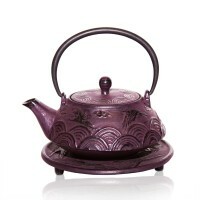 Flying Crane cast iron tea pot Sze : 400ml Colour : Purple only Comes with infuser an..
Green Dancer Cast Iron Tea Pot Size : 700ML Comes With matching trivet and fitted Stainle..
Namiko Bronze Cast Iron Size 700ml Comes with matching Trivet and Stainless Steel Infuser..
Red Dancer Tea Pot ( cast Iron ) Comes with matching Trivet Size : 700 ML Fitte..
Silver Needle Cast Iron Tea Pot Size : 900ML Comes with matching Trivet and Fitted ..
Silver Strength Tea Pot Size : 500 ML Comes with matching Trivet and stainless steel infu..